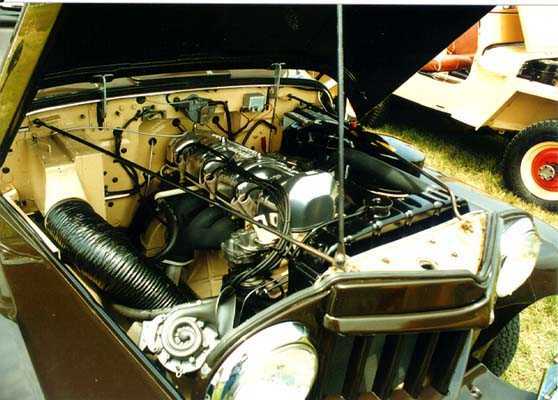 This is the engine compartment of a '62 Willys Wagon 2wd. This is the one that was originally owned by the Willys factory in Toledo. This is the most beautiful 230 Tornado I've ever seen! Sorry I didn't get a shot of the whole vehicle.